Το makedoniapalace.com αποτελεί την «απεικόνιση» του θρυλικού ξενοδοχείου όχι απλώς ως ένα 5άστερο ξενοδοχείο, αλλά ως μία ολιστική εμπειρία που σχεδιάστηκε έχοντας στο κέντρο του τον επισκέπτη και τις ανάγκες του, αποδεικνύοντας ότι έχει τη δυνατότητα να τον «κρατήσει» μέσα. Makedonia Palace is one of the most historic city hotels in Greece and has been a point of reference in Thessaloniki since the 1970s. 2016 was a highly significant year for the luxurious hotel, as it went under a total renovation process. In May 2017, the renovation was completed. A brand-new Makedonia Palace was at travelers’ disposal. So was the unparalleled service and hospitality experience the hotel’s name signifies. 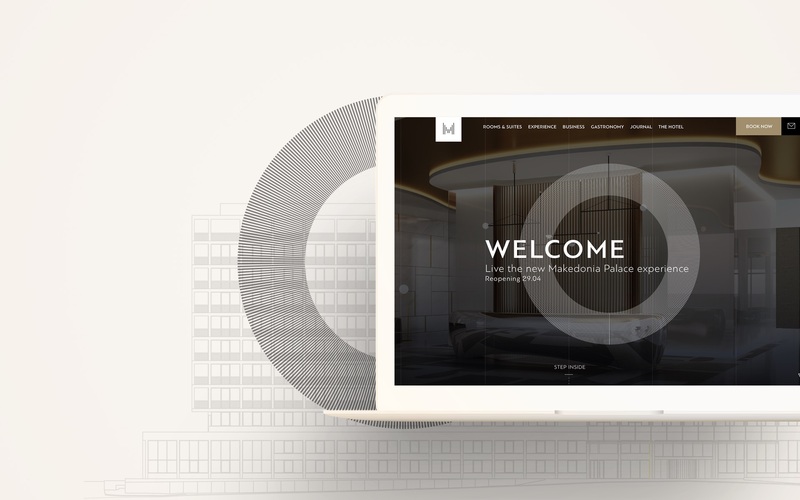 To create a website to reflect the supreme travel experience Makedonia Palace offers its visitors. At the same time, it was essential to showcase the hotel’s facilities and business units: restaurants, social events venues and business center. Makedonia Palace was branded as a top business destination since the beginning of its existence. Admine has been working on rebranding the hotel as a ‘must’ for every visitor in Thessaloniki, whatever the purpose of their visit, with the ‘point of reference campaign’. This website was aimed to be a ‘point of reference’ as well. 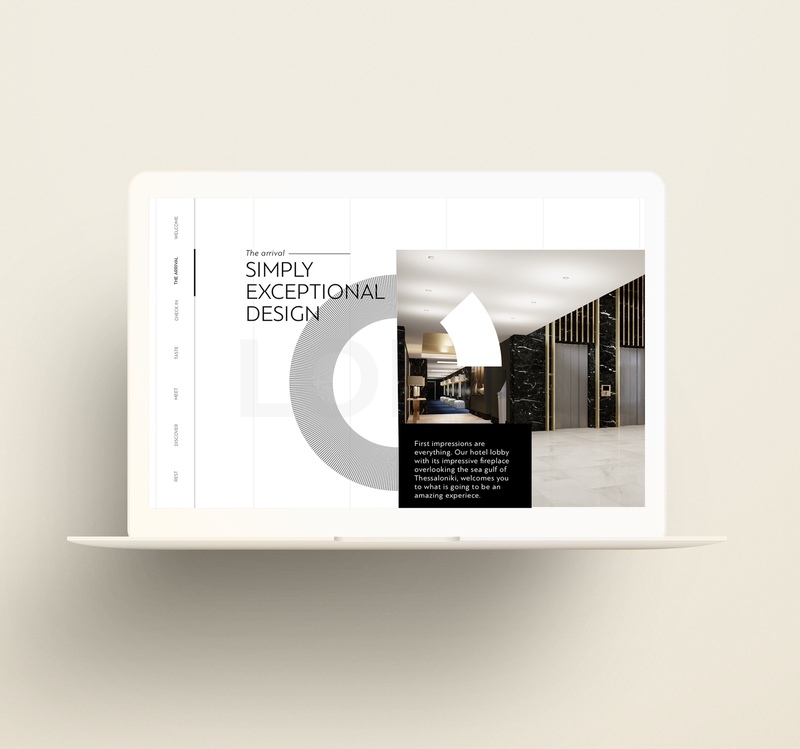 We devised a content-based narrative that revolves around three core services of the hotel experience: gastronomy, business and social events. There was another part of the narrative. The hotel’s location and history are practically intertwined with Thessaloniki. The UX designed aims to create a walkthrough experience for the user, communicating all the elements of the narrative, while ensuring the website’s accessibility. 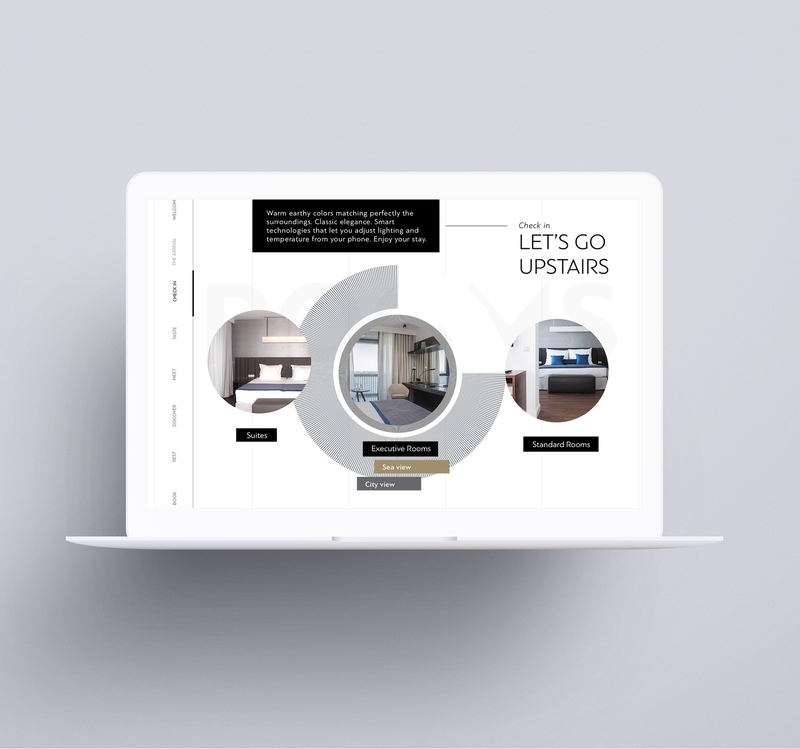 The hotel’s unmatched design inspired a one of kind UI. An interactive background based on fluid elements creates a web experience that is as unique as the hotel. Another key element of the website’s carefully crafted architecture lays beneath the surface. We created dedicated content for the site’s hero sections (experience and leisure) so a to enhance SEO rankings and manage the traffic from future campaigns.